One of the major decisions all commissioners must contemplate when configuring their fantasy leagues is which fantasy football scoring systems to implement. This is an important decision as the chosen scoring system will dictate how owners create their cheat sheets, make their draft picks on the league fantasy draft board, and subsequently how their players will accumulate points throughout the season. But which of these systems is the best scoring configuration for your fantasy football league? That's what I reveal in this fantasy football scoring guide. Regardless of the scoring system that you choose for your league, the fantasy football points system used to reward statistical output remains [largely] the same. The Standard Scoring System is the best system for new fantasy leagues or existing fantasy leagues which want to keep things simple. It's settings are tried, true, and proven keep league scoring well-balanced. The Points Per Reception System enhances standard scoring by introducing another statistical category to increase overall scoring. Awarding players with a point per reception means overall scoring across all teams will rise by at least 7000 points. Finally, Individual Defensive Player is a complement to either Standard Scoring or PPR and is best-suited for hard-core owners who invest considerable time in their leagues. Is this your league's first year? Is your league comprised mostly of novices or fantasy veterans? How much of time do you expect your owners to commit to the league? Are your owners the types who would enjoy complex scoring systems with high-scoring games, or would they prefer a simple and straight-forward system? The answers to these questions will help you choose the best scoring system for your league. Let's dive into the details and discover how to match a scoring system to your league's personality. Our Free Draft Prep Tool: Create player rankings based on a custom fantasy football cheat sheet. The standard fantasy football scoring system is a well-respected baseline of scoring rules. The points system which forms this framework is designed to promote balance across the various fantasy positions. The standard scoring system is the typical model chosen by first time fantasy football commissioners because it is a very basic points system which is intuitive for beginners. The points system defined in the standard scoring system was formulated with the goal of ensuring that each fantasy position has roughly the same relative value to the other fantasy positions for similar on-field production. Thus, it aims to calibrate the weight of each fantasy statistic so that each fantasy position has comparable value to your team. Next, we'll outline the basic point guidelines of standard fantasy football scoring for each of the offensive and defensive fantasy positions. The standard fantasy football scoring system defines rules for offensive scoring as well as DST (Defense & Special Teams) scoring. 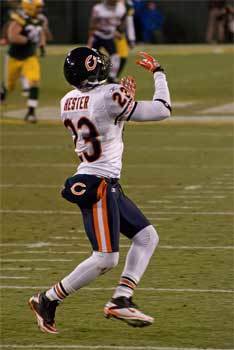 A typical fantasy lineup is usually comprised of 8-12 offensive positions and 1 DST position. Let's talk about the typical point values applied to offensive production. Offensive fantasy football scoring rules are well-established, especially when you compare them to their Defense/ST counterparts. Every fantasy league using standard scoring utilize the following point values (or something very similar). In the standard fantasy football scoring system, touchdowns are universally worth 6 points, just like in the NFL. It does not matter if the touchdown was scored by a quarterback, receiver, running back, or even a kicker. All touchdowns are worth 6 points. Some scoring rules dictate that touchdowns are only worth 4 points. These are not the standard scoring system. Each rushing yard is worth .1 point (if your league awards fractional points, which it should), or 1 point for every 10 yards. Leagues that don't award fractional points should be extinct by now. Similar to rushing yards, each receiving yard in fantasy football is worth .1 point, or 1 point for every 10 yards. Because passing yards are much easier to come by than rushing or receiving yards, they are not worth quite as much. Passing yards in the standard scoring system are worth .04 point per yard, or 1 point for every 25 yards. If you were to ask several different people which of these players had the best game, you'd probably hear several different answers. This is because each player had roughly the same level of production relative to the position that they play. As such, if these stats were to be applied to the standard scoring system, each of these players would have compiled the exact same fantasy point total: 16 points. This is the level of balance that standard scoring aims to achieve. While the aforementioned statistic/point-value pairs form the basis of the standard scoring system, the following statistics should also be a part of any fantasy football point configuration. However, these associated points values may vary slightly from league to league. For the average NFL quarterback, the ratio of TDs to INTs is generally about 3-1. For instance, in 2017 Phillip Rivers, Russell Wilson, and Case Keenum all had TD-INT ratios of about 3-1. This 3-1 ratio forms the basis for an interception's negative point value in fantasy football. In other words, it will take 3 interceptions to negate a 1 touchdown, so each interception will subtract 2 points from your starting fantasy quarterback's (and thus your fantasy team's) point total. The negative point value attributed to a lost fumble is most commonly -2 points, although this can take different forms. For example, some fantasy football platforms allow you to assign distinct point values to both fumbles that are lost AND fumbles that are recovered by the offense. For fantasy leagues that offer this level of detail, it is not uncommon to see commissioners associate -1 point with a fumble that is recovered by the offense and -2 points with a fumble that is turned over to the defense. In the early days of fantasy football, all field goals were worth 3 points. After scoring configurations became more granular , field goals still typically started at 3 points but increased in value as the distance (and thus the difficulty) of the field goal increased. 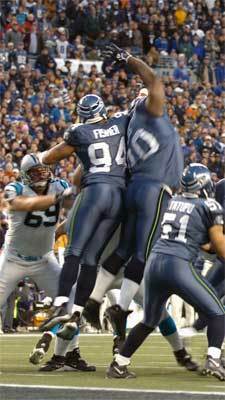 There are no standard guidelines governing how a field goal's point value should be increased with distance, but a common approach is to award an additional point (4 points total) for any kick between 40 and 50 yards, another point (5 points total) for a kick between 51 yards and 59 yards, and finally 6 points for any field goal 60 yards are longer. If your league hosting service allows it, a further refinement of field goal point configuration is to award fractional points based on field goal distance. Configuring points in this manner would be similar to how partial points are awarded for yardage to the quarterback, running back, and wide receiver positions. Some fantasy hosts support this option while others don't. If your league supports it, I highly advise you implement this fractional field goal scoring as it is a much more balanced way to award points to kickers.. Using the fractional approach, you could award 3 fantasy points for every field goal up to 39 yards, 4 fantasy points for a field goal of 40 yards, then award an additional .1 fantasy point per yard for field goals 40 yards or greater. For instance, a 41 yard field goal would be worth 4.1 points, a 42 yard field goal would be worth 4.2 points, and so on. The fractional approach to scoring field goals adds an element of granularity and fairness that could be the difference in the outcome of a game or two during your fantasy season. The following statistics are factored into the scoring rules for the Defense/Special Teams(DST) fantasy football position. Under the standard scoring configuration, the special teams and defense of each team are combined to form one fantasy position, DST. Blocking any type of kick, whether it be an extra point, field goal, or even a punt is generally worth two points. The most common value for a safety is 2 points. However, I have been in some leagues where we awarded 6 points for a safety since they're most common than a touchdown. Fantasy leagues vary, but forcing a fumble is generally worth 1 point. Some leagues only award points (2) for a forced fumble that is actually recovered by the defense, but zero points if they force a fumble and the offense recovers. However, I personally like to split these points across two categories: forced fumbles and fumble recoveries. Some league hosts provide this option while others do not. 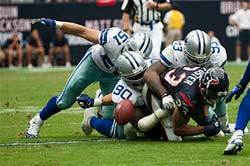 A fumble recovery is worth 1 point or, as previously mentioned, may be worth 2 points if no points are awarded for the forced fumble itself. Interceptions are almost universally worth 2 fantasy points. These points counter the -2 fantasy points which are taken from the fantasy quarterback who threw the interception. I have never seen a point configuration where sacks are worth anything other than one fantasy point. Unlike in the early years of fantasy football, a good DST position can earn you some heft point totals. It isn't uncommon to see a DST score 20-40 points in a game, especially if the defense records shutout or a scores a touchdown or two. Remember, Points Allowed is just one category on which your DST is scored. They also accumulate points for sacks, interceptions, touchdowns, etc. The standard fantasy football scoring system works especially well in the following scenarios. The standard scoring system hasn't changed much throughout the years and is a solid, balanced point configuration. You simply can't go wrong when utilizing this points system for your league. As fantasy football increased in popularity over the years, some fantasy veterans began to get bored with the standard scoring system. It wasn't that the standard system was flawed, it was simply that owners wanted their leagues to incorporate more scoring and draft strategy. If more points on the scoreboard makes the NFL more exciting, shouldn't the same should hold true for fantasy football? It was out of this desire for more scoring that the Points Per Reception system was born. The PPR system is identical to standard scoring with one important exception: players receive additional points for every reception (usually 1 point but sometimes 1/2 point, varying by league). While this scoring adjustment may seem minor, it actually has a considerable effect on player scoring. As a result, it's becomes a key factor in how you configure your custom fantasy cheat sheets. For instance, a player's fantasy ranking under the PPR scoring system could differ by as much as 10 positions when compared to their output using standard scoring. Most leagues start out using the standard scoring configuration, but there is no reason not to start out as a PPR league if most of your owners are in favor of this system. It may require that your owners pay a little more attention to stats when preparing for their drafts, but many people swear by this system. Another reason you may want to consider PPR for your league is if people are losing interest and you're looking for a way to spice things up. The increased scoring in PPR could help to get your owners re-engaged. In the years since the PPR scoring system became commonplace, fantasy owners have continued to push the envelope. With the advent Individual Defensive Player leagues, a whole new dimension of scoring and strategy was created as fantasy positions were extended to the defensive side of the ball. IDP isn't a replacement system for standard scoring or PPR systems, rather it is a scoring system that you would implement alongside with your existing scoring configuration. Are you looking to take your draft performance up a notch for the upcoming fantasy football season? I reviewed several books on fantasy football in another article that focuses entirely on draft strategies and preparation. If the extra work required to manage defensive players would alienate some of your league members, it's probably best to stick to a standard or PPR-based league (or maybe create a new fantasy league strictly for owners interested in IDP). Standard Scoring, Points Per Reception, and Individual Defensive Player are the three primary scoring systems that form the basis for almost every fantasy football league. When choosing between these scoring systems, it's important to adopt a system that is supported by and complements your league owners. The newer your owners are to fantasy football, the more likely it is that Standard Scoring is the best choice. If your league is full of experienced owners who are willing to invest extra time into the league, then PPR or IDP systems may be worth a shot. It also never hurts to experiment. Why not start with one of these systems and mold it to your league's liking? After all, the best scoring system for your league is any system that keeps owners engaged and promotes participation throughout the fantasy season. Which scoring systems have worked the best for your fantasy leagues?